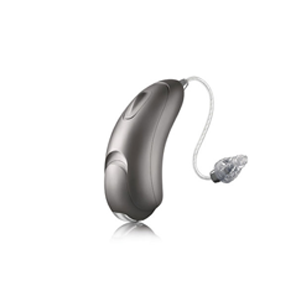 The Unitron Moxi All Rechargeable 500 hearing aids is the entry-level device of the range powered with the best in conversation platform from Unitron. The hearing aid has Bluetooth connectivity features which link to any mobile device including iPhones, Android mobile devices and other gadgets with compatible Bluetooth version. The device may be altered with special Unitron battery door, rechargeable batteries together with a charging case and turn the Moxi All into a rechargeable hearing aid.